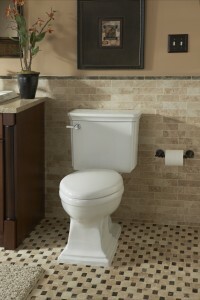 January is Bath Safety Month, an excellent time to review ideas to make the bathroom a safer place. To make the bathing experience easier and safer for people as they age, Mansfield Plumbing has eight versions of the Restore walk-in tub featuring an easy-access step-in feature with a water-tight swing-in hinged door. The tubs are taller than standard bath tubs and feature a sculpted 17-inch high ADA compliant seat, allowing the bather to remain in an upright position while being completely submerged in water.